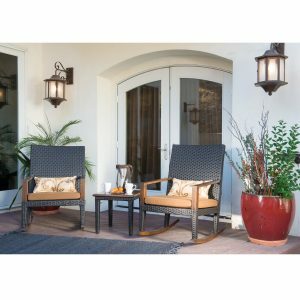 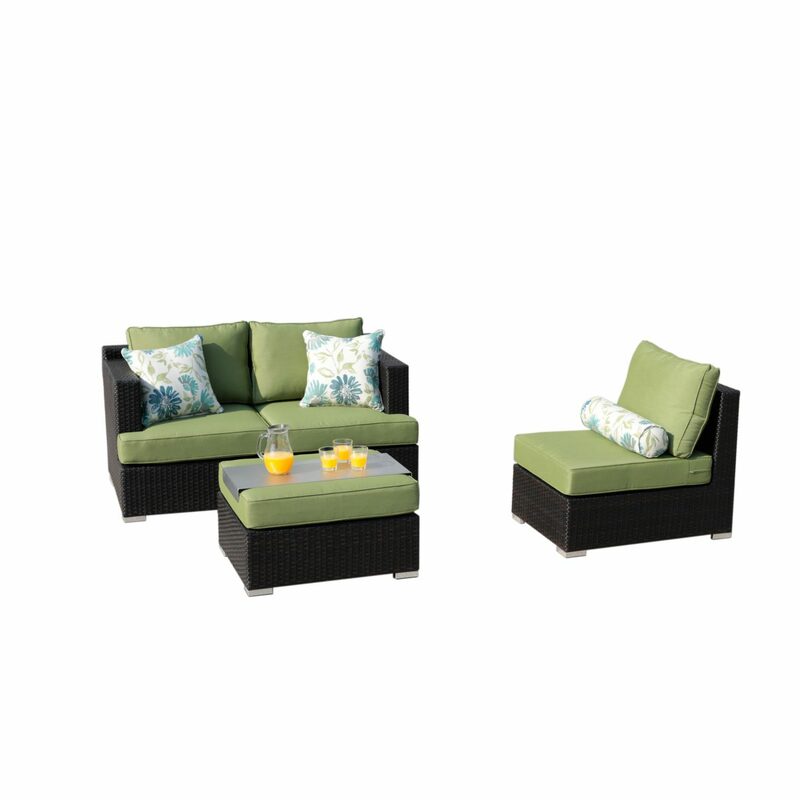 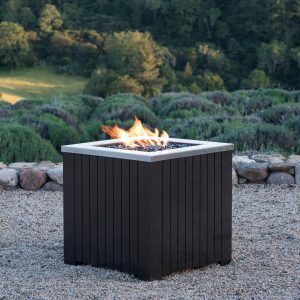 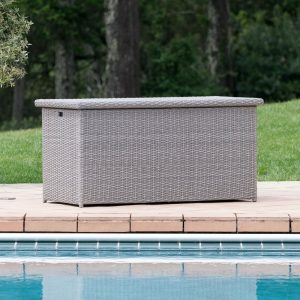 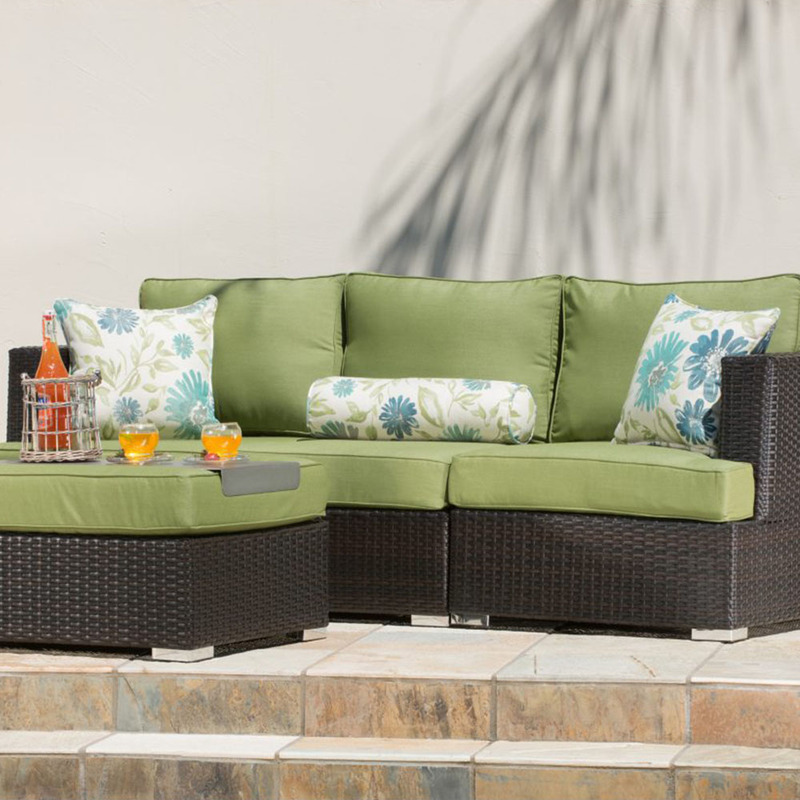 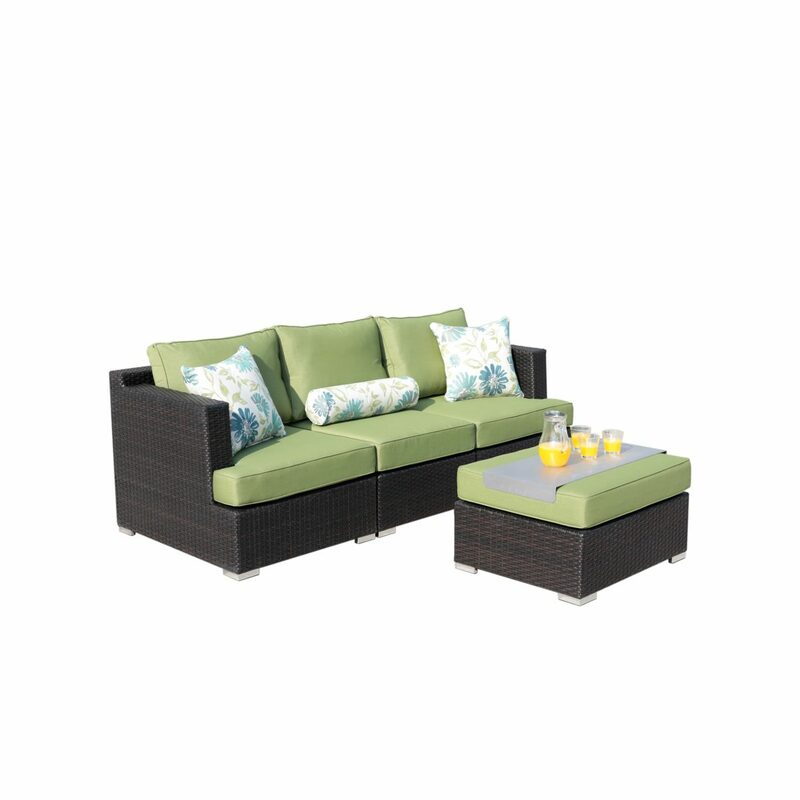 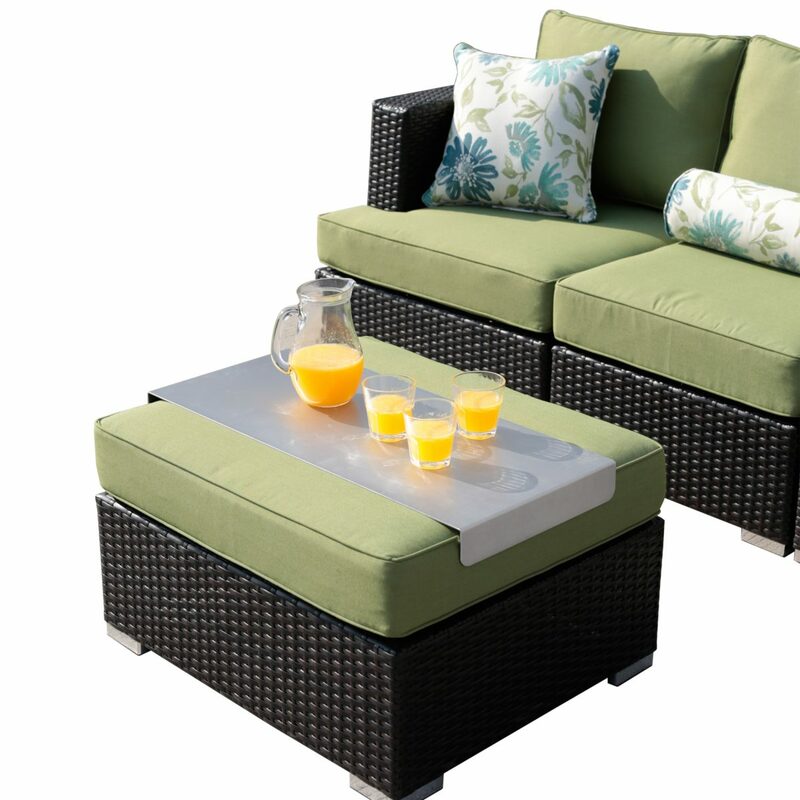 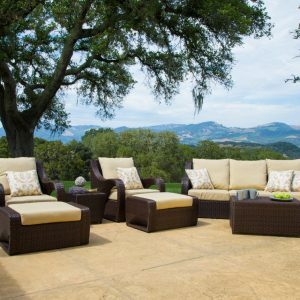 This premium 4-piece set provides the perfect outdoor accent for your home, yard or garden. 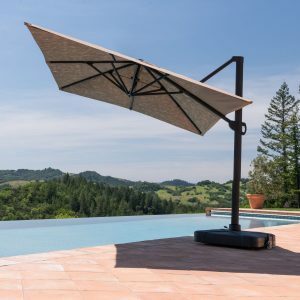 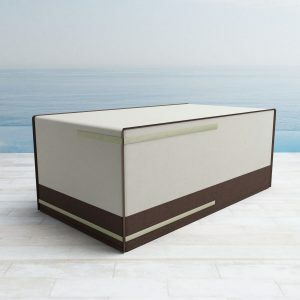 Crafted of durable aluminum, it is strong and weather resistant. 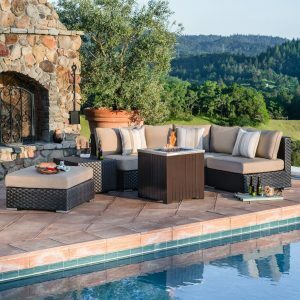 The hand woven wicker will last for years outside. 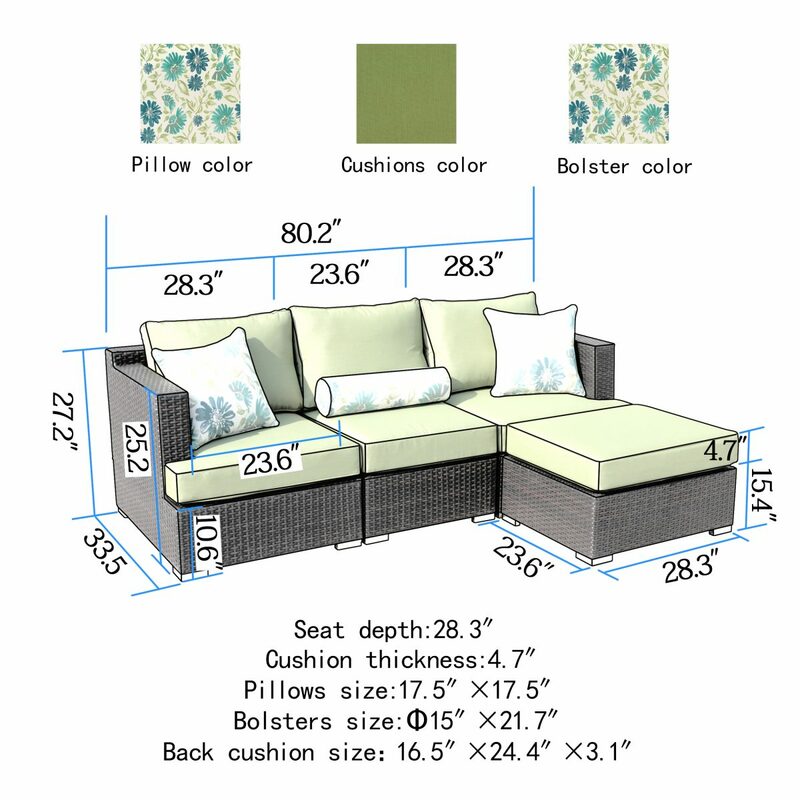 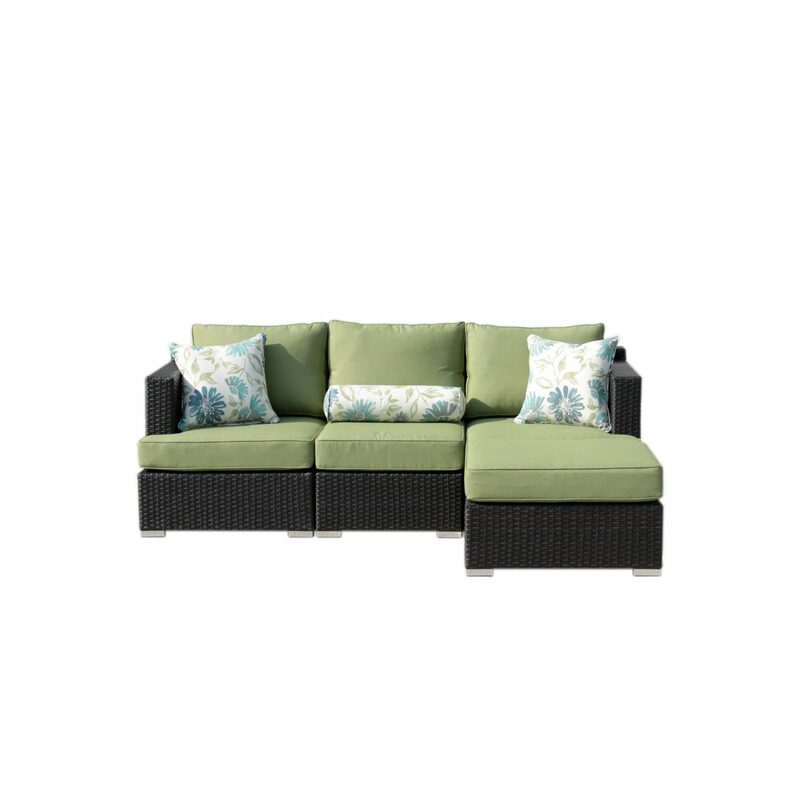 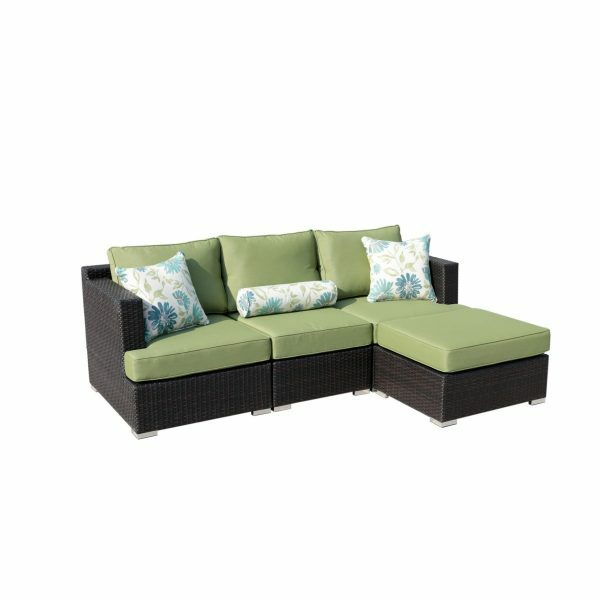 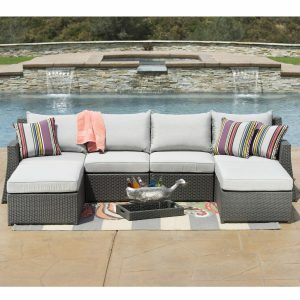 Green cushions on a brown wicker construction add the perfect touch, while decorative pillows embellish the whole set.